The final day of the Seamaster 2017 ITTF World Tour Qatar Open is upon us, and the first ITTF World Tour Platinum competition of 2017 prepares to draw to a close at the Ali Bin Hamad Al Attiyah Arena in Doha. After two days of the qualification tournament and three days of the main event, the hunt for silverware draws to a conclusion with four titles up for grabs on Sunday 26th February. The day’s action will kick-off with the Women’s Doubles final as the competition’s top seeded pairing Jeon Jihee and Yang Haeun of Korea Republic take on the unseeded duo of Chen Meng and Wang Manyu. Jeon Jihee and Yang Haeun proved successful in their most recent match against an unseeded pairing as they saw off the Slovak Republic’s Barbora Balazova and the Czech Republic’s Hana Matelova (9-11, 11-8, 11-6, 11-4) at the semi-finals stage of the tournament. Yet, the Korean combination of Jeon Jihee and Yang Haeun could be set for a difficult task in the final with opponents Chen Meng and Wang Manyu heading into the tie off the back of a thrilling victory over the second seeds Doo Hoi Kem and Lee Ho Ching of Hong Kong in their previous match (11-3, 12-10, 9-11, 6-11, 11-8). Sweden and Japan will go head-to-head in the final round of the Men’s Doubles tournament, with Kristian Karlsson and Mattias Karlsson looking to cause another big upset when they face the no.1 seeds Masataka Morizono and Yuya Oshima. Kristian Karlsson and Mattias Karlsson stole the headlines on the opening day of the Men’s Doubles main competition when the Swedish partnership stunned China’s Ma Long and Zhang Jike, and the Swedish duo’s triumphant results in the quarter-finals and semi-finals will provide Kristian Karlsson and Mattias Karlsson with plenty of confidence ahead of the final. Following the conclusion of the Women’s and Men’s Doubles events will be the Women’s Singles final, as the first of two finals exclusively featuring players representing China gets underway. Partners in the Women’s Doubles final will become rivals in the Women’s Singles finale as Chen Meng takes on Wang Manyu for the opportunity to lift the trophy in Doha. Ninth seed Chen Meng halted the progress of Germany’s Shan Xiaona in the last four, seeing off the 16th seed without dropping a game (11-4, 12-10, 11-5, 11-3) while Wang Manyu, who is unseeded, came through her match against fellow compatriot Gu Yuting in four ends (11-6, 20-18, 11-6, 7-11, 11-6) to book her spot in the final. Wang Manyu has already condemned second seed Kasumi Ishikawa and the ninth seed Mima Ito to defeats in Doha – could Chen Meng be the next big scalp on her list? Rounding off the Seamaster 2017 ITTF World Tour Qatar Open is a match that is bound to excite, as the top two seeded players Ma Long and Fan Zhendong meet in the Men’s Singles final. In a repeat fixture of the Seamaster Qatar 2017 ITTF World Tour ITTF World Tour Grand Finals Men’s Singles final, which was also hosted in Doha, Ma Long and Fan Zhendong will battle it out again at the Ali Bin Hamad Al Attiyah Arena as both players attempt to pick up their first ITTF World Tour title of the year. 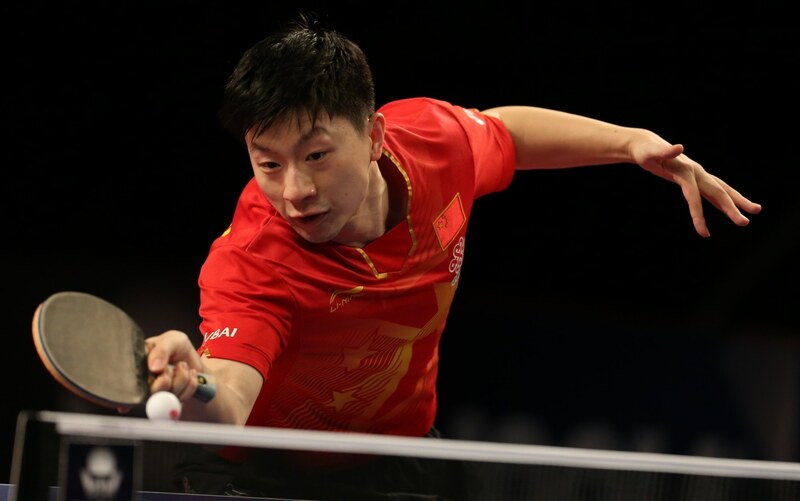 The previous encounter in Doha between the two finalists saw Ma Long take the glory, but will he be able to repeat his success when he takes to the table on Sunday 26th February – or will Fan Zhendong get his revenge?